For the first time since the days of William Howard Taft, the United States is officially reorienting its security and defense strategy to the Asia-Pacific region, closing down military bases in Europe, redeploying soldiers to bases in Australia, and placing the region front and center in its strategic documents. As stated in the U.S. Department of Defense’s 2012 Defense Strategic Guidance note, “while the U.S. military will continue to contribute to security globally, we will of necessity re-balance toward the Asia-Pacific region.” But if this shift is to translate into leadership, the United States needs a complementary investment agenda for building the region’s resilience to key emerging threats – including climate change. In broad strokes, the reasons for this so-called “Pacific Pivot” are not too far removed from the reasons for the United States’ Euro-centric posture after the Second World War. That strategy was designed to ensure the defense of Western Europe against internal war, economic disaster and a rising Soviet Union, with Berlin serving as the strategic convergence point of the new superpower competition. Over six decades later, a rising China, tensions in the strategic convergence point of the South China Sea, and the opening of previously impassable sea lanes by a melting Arctic, have led to a new strategic focus on the Asia-Pacific. The difference today is that the United States does not quite have the Asia-Pacific equivalent of a Marshall Plan to set this new posture on a stable, resilient and prosperous footing. 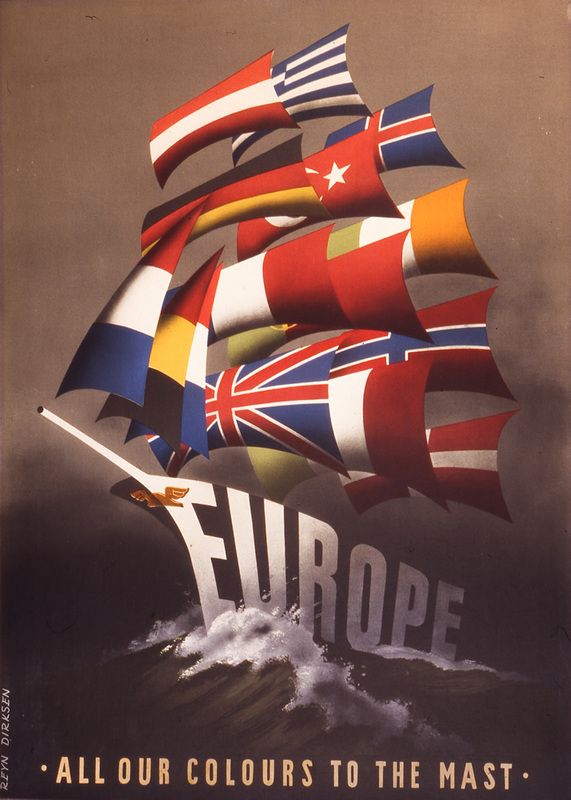 In 1949, the United States made a decision that its national security depended on the maintenance of a broad coalition of strong European allies to contain, and compete with, a rising Soviet Union. The Marshall Plan, a $13 billion dollar package of financial assistance, was the first step in that process. It quickly elevated Western Europe from devastated to developed, and has since been recognized as one of the single most important elements of that grand strategy, helping lay the foundations for a vital European Union, NATO, and the economic, political and military defense against the spread of Soviet-style communism. Fast-forward over half a century to 2012, and the U.S. shift to the Asia-Pacific. Currently, despite the existence of a number of poor and vulnerable countries in the region, there is no credible plan to build such a broad, and resilient coalition as there existed in Europe. And absent a credible U.S. influence that helps address core needs, nations will ultimately find it far more practical to accept the reality of a regionally-dominant China, and the economic and political benefits that come with it. To be fair, the U.S. enjoys a strong relationship with key Asia-Pacific allies, such as Japan, South Korea, Australia, India, and the Philippines. But there are a host of other nations, from Indonesia to East Timor to Vietnam, that have a far more difficult relationship with Washington. These nations also happen to be politically, economically and environmentally vulnerable. Many of them have been slowly reorienting their foreign and domestic policies to accommodate an increasingly powerful Beijing, while others like Cambodia seem to be hedging their bets. And while some current and prospective U.S. allies in the region are engaged in disputes with China over contested areas of the South China Sea, it may not be long before they bend under the pressure and march to China’s drum. If the U.S. is serious about competing in this space, it will need to find a way to build and maintain a much broader and more resilient coalition of strong Asia-Pacific allies. The U.S. must offer the nations of the region the opportunities they need to both grow their economies, and combat other, far more existential threats to the region’s well-being. But there’s no need to start from scratch. The U.S. has recognized the need to forge robust relationships with the many nations of the Asia-Pacific, whether through military-to-military cooperation, bilateral and multilateral trade deals, or other economic and diplomatic ventures like the Asia-Pacific Economic Cooperation (APEC). However, the U.S. has failed to robustly address one of the most critical emerging threats, and opportunities, facing the region: climate change. The United States is now strategically locked into the Asia-Pacific, and unlike Europe, serious vulnerability to climate change is a key feature of the region. Indeed, Asia-Pacific nations have already recognized the gravity of the threat. The Council for Security Cooperation in Asia has identified climate change as an ever-present existential threat to its members. For the United States, this has been confirmed by a series of studies, intelligence assessments, and war games conducted by the Department of Defense, which show that South and Southeast Asia face a number of security challenges driven by climate change in the next few decades: food shortages, water crises, catastrophic flooding, greater frequency and intensity of hydro-meteorological disasters, population displacement, and increased public health issues. Addressing this challenge, and bolstering the resilience of the region’s nations to this threat, must therefore be a core priority of the United States. Not doing so would seriously undermine the U.S. strategic role in this geographic space. The U.S. requires the equivalent of a Marshall Plan for the Asia-Pacific to help countries address the climate challenge, and to complement its current military and economic engagement in the region. It needs, in other words, a Climate Investment Plan. Such a plan is simple and straightforward: meet the “climate investment” needs of Asia-Pacific nations, particularly those that are most vulnerable to a changing climate. Climate investments, referred to as “climate finance” in the parlance of international negotiations, are funds needed for fragile countries to adapt to the aforementioned effects of climate change, protect their forests and other natural resources in a manner that still generates revenue, and develop renewable energy sectors that will both grow their economies, and mitigate greenhouse gas emissions. Until now, such financing has been minuscule relative to the threat. These investments will help the United States build a strong coalition of allies in the region through: building resilience and goodwill; protecting commercial ties between the U.S. and the region, and; decreasing the likelihood of instability, disaster and conflict. – Building resilience and goodwill: Since the conclusion of the 2008 Bali Action Plan, the nations of the Asia-Pacific have looked to the United States for leadership in the delivery of climate investments, thus far to little avail. This has created a great deal of frustration with the United States in the region, particularly amongst the Pacific Island states. If the United States does not offer meaningful assistance to vulnerable countries in the Asia-Pacific, and help the region prepare for climate impacts, either China will do it, or it won’t happen and the region will grow increasingly unstable. Meeting these needs, if done with sensitivity towards local populations, would provide the opportunity for economic and political stability, build goodwill towards the United States, make it easier for the U.S. military to co-operate with nations on security and humanitarian missions, and serve as a non-threatening way of competing with China for regional influence. – Protecting commercial ties between the U.S. and the region: The resilience of the region as a whole is also good for U.S.-Asia Pacific commercial interests. Investments in climate adaptation for vulnerable countries would help increase the capacity of critical economic partners in the area to cope with extreme weather events, and other climate impacts. For example, a quarter of the world’s “sliders,” an essential component of hard disk drives, are manufactured in one Thai plant in Bang Pa-In. That plant was inundated by recent floods that were the result of wild rainfall variability – increasingly attributed to climate change. Regional investments in climate-proofed flood and water management systems, and other adaptation projects, could serve to avoid these supply chain disruptions, and thus strengthen the stability of U.S. economic ties to the region. – Decreasing the likelihood of instability, disaster and conflict: A core purpose of the U.S. presence in the Asia-Pacific is to provide stability. Without climate investments in the region, the likelihood of instability, conflict and disaster will increase, with great cost to the region and the United States. Fragile governments and economies, already strained, will experience further stresses. Some island states, for example, could literally cease to exist – a possibility that may soon become irreversible fact. If adaptation investments are not forthcoming, this picture will only be the tip of the proverbial iceberg. According to UNDP, the Pacific is “one of the most disaster-affected regions in the world, permanently threatened by a variety of natural hazards, many of which are likely to worsen as the planet’s temperature warms” A 2009 security review by Australia’s Defense Force stated that rising sea levels may lead to increased refugee flows from vulnerable Pacific islands, and subsequent disputes over land and scarce food resources. The Defense Force concluded that this might compel them to heighten their naval presence north of the country. With such dire security projections, significant investments in climate-sensitive disaster prevention and response systems, and financing to increase government capacity to provide essential services, will be vital for preventing disaster, keeping nations out of conflicts and disputes, and avoiding the necessity of high-cost emergency and military solutions. The good news is that there are channels in place to get such a climate investment plan off the ground. First, the demand is there and the commitments have already been made. The nations of the Asia-Pacific region have asked for these climate investments through the UN Framework Convention on Climate Change (UNFCCC), and the U.S. pledged to help generate $100 billion public and private dollarsfor such investments in the developing world by 2020. Second, the mechanisms for delivering these funds are already in place. On top of long-standing financial channels like the Global Environment Facility and the Climate Investment Funds, a Green Climate Fund has been recently created through the UN and World Bank, with important U.S. backing, the Asia-Pacific Economic Cooperation may have room to expand its mandate beyond energy, and the U.S. has recently launched a high-level engagement process in the region that includes “coping with climate change, and rising sea levels.” Lastly, on top of the strategic benefit of this investment, it won’t cost the U.S. much at all, and will likely lead to unforeseen economic opportunities. In order to meet the lower end of estimated climate needs of the Asia Pacific through 2020, the U.S. would have to spend a mere 0.01% of its FY2011 federal budget, and that’s not including leveraged private capital, which will cost the government nothing. All that is needed is the political will to do what is in the national strategic interest of the United States. If the U.S. were to lead now with the delivery of these investments – or at least its share or more for vulnerable Asia-Pacific nations – it could be well on its way to enjoying a Pacific century in which it remains the primary Pacific power. If not, it stands to cede that ground to a rising China (or be a bystander to instability), and lose the support and goodwill of the region’s many vulnerable countries. Times have obviously changed since the Marshall Plan was implemented, and there are many ways in which modern investment programs are different. But the key positive lesson of the Marshall Plan is relevant today. To be successful, national security strategies must be complemented by financial support for our current and prospective allies to combat emerging threats. If the United States wants to be successful in the Asia-Pacific, it will need to invest in combating the greatest threat multiplier in the region – climate change. Indeed, addressing the needs of Asia-Pacific nations that are vulnerable to the effects of climate change may be the U.S. foreign policy imperative of the 21st century – a policy that will shore up and sustain U.S. leadership in both the Asia-Pacific and the world. Failing to do so will ultimately result in other nations either assuming that leadership mantle, or left without the capacity to prevent and respond to instability and conflict. The U.S. has that capacity, if it chooses to seize the opportunity at hand. The new Marshall Plan for the Asia-Pacific is a Climate Investment Plan, and U.S. global leadership depends on it. By Francesco Femia & Caitlin Werrell in accelerant of instability, ASEAN, Australia, Cambodia, Center for a New American Security, China, climate change, climate finance, Climate Investment Plan, CNAS, conflict, Defense Strategic Guidance, disaster, East Timor, humanitarian relief, India, Indonesia, Japan, Malaysia, Marshall Plan, national security, Pacific Islands, Pacific Pivot, Philippines, regional institutions, South Asia, South China Sea, South Korea, Thailand, threat multiplier, U.S. Department of Defense, United Nations, United States, Vietnam, vulnerability on February 8, 2012 . Re-balancing in the Pacific is going to take time, and garnering resources from an austerity-minded Congress certainly will challenge the $100B pledge. USAID reopened an office in PNG late last year, and recently posted a resilience building RFP that will finance important coastal infrastructure (small scale), disaster risk management training, and longer-term land-use planning, which includes updating building codes– delivering on the requests of many SPIDS leaders. The Compact nations- FSM, RMI, and Palau- are getting a pretty big share of resources from US Department of Interior. Nothing builds stronger goodwill than a helping hand that reduces imminent and direct threats.